Making crostinis might be one of my most favorite things to make ever. 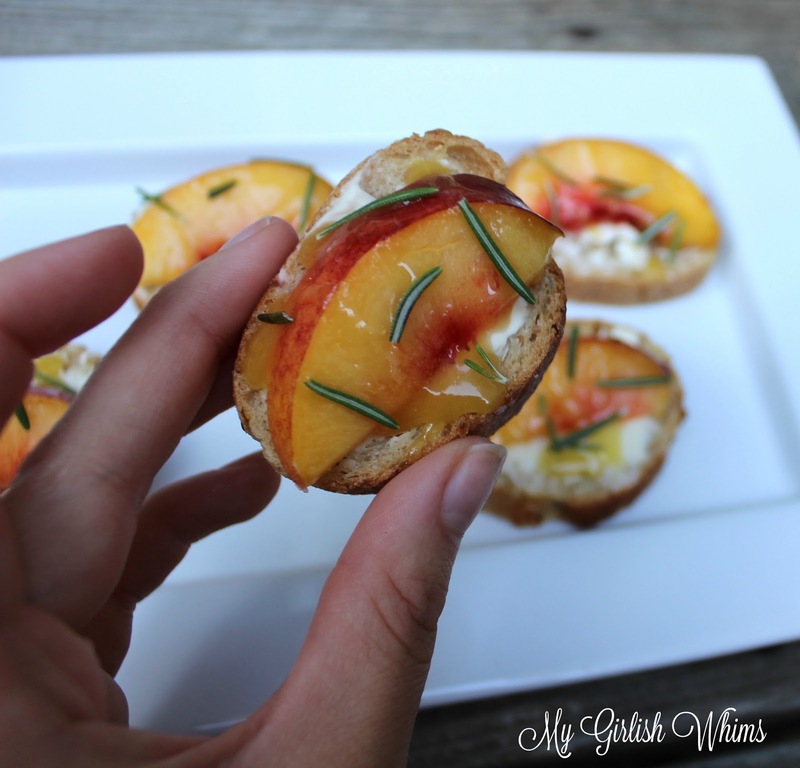 I love serving them when entertaining especially: I feel like guests just love how easy it is to pick up these snacky little creations and the flavor combinations are just endless! I had an impromptu BBQ planned for over labor day weekend and decided it would be fun to plan a tasty little crostini to serve at the party. 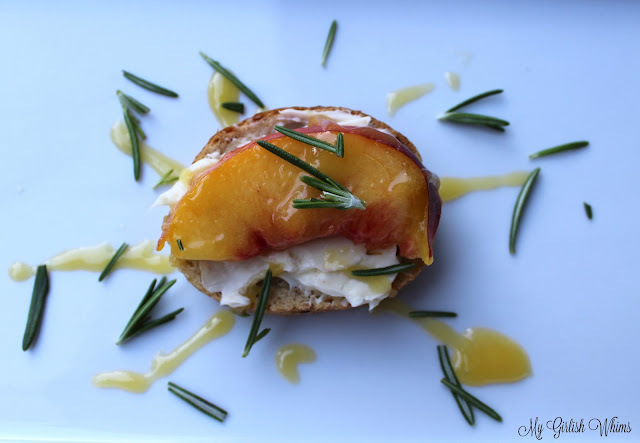 I am loving eating up all the juicy peaches and nectarines that are hanging around at the end of summer so I thought a crostini with a sweet slice of nectarine on top would hit the spot perfectly. 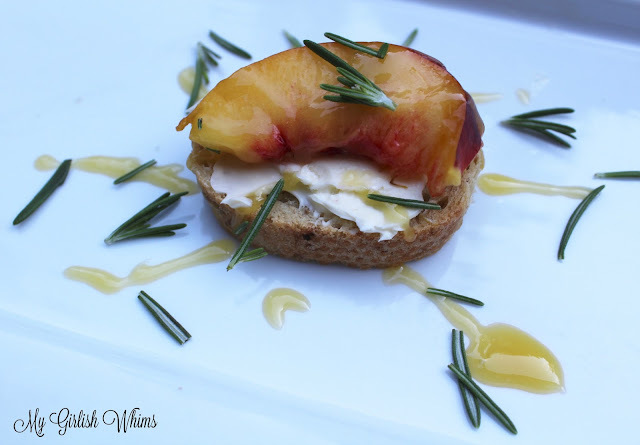 Paired with some creamy brie cheese, a drizzle of sunflower honey, and a sprinkle of fresh rosemary, these little bites make such a refreshing and DELICIOUS appetizer! 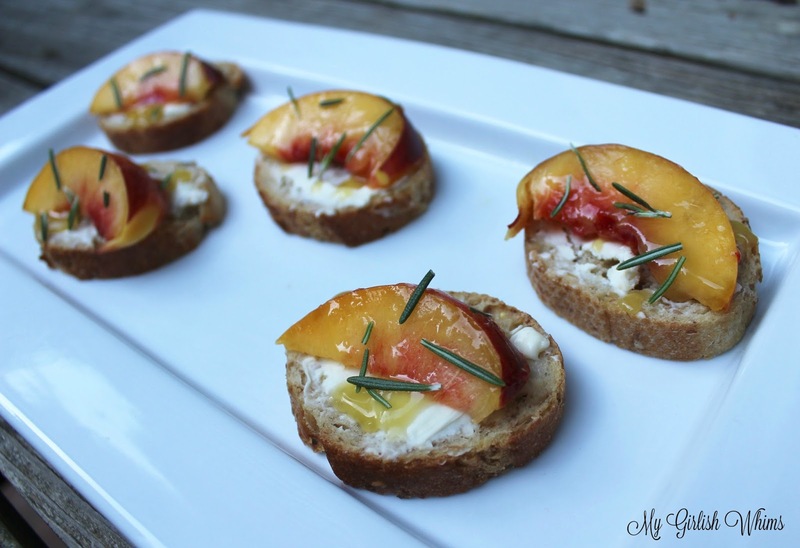 So make them for a crowd or make them for just yourself: but either way make sure you make these delicious little summertime crostinis!